How about an outdated bathroom or kitchen? Maybe your basement is partially finished but not being used because of all the raw drywall? You may want to consider sprucing up the space with a coat of white paint. I know, it seems a little bare but we forget how much a small change such as color (or lack thereof) can make in small or outdated spaces. When remodeling, a few thing must be considered. What do I want to do with this space? Do you want that basement to become a place where the kids can hang when you have guests over? Maybe your hubby wants a “man cave” to watch whatever sports are in season. Maybe your wife needs an office. What can you realistically achieve with the area? Is there enough space to give one of the kids their own room? Or, is there just enough space to build a tiny mediation studio? How much natural light does this space receive? When choosing color, this is the most important aspect when remodeling. Does this space get tons of sun all day long? Your color pallet will have no bounds if that is the case but, like most houses, not every room has lots of windows or a huge set of French doors. Perhaps, like many odd spaces, this room has only one window, or (eeek!) no windows. Here’s where the white paint comes in. White comes in many variations from Bright White, to Vanilla, to Cream and many many variations in between. If you’re working on that tiny “glorified storage” space with only one window, try a coat of white paint to create a blank space to transform it into an office, yoga studio, or quiet sitting room. Decorate the walls with homemade artwork or vintage movie posters to give it a special touch. Create your dream finished basement with proper mudding and Soft White paint to create the illusion of more space and light in a normally cold and dark place. Use track lighting or other lighting solutions to make sure the area is well lit and inviting. Does your kitchen look like its from the 1970s? How about a lovely whitewash finish on the cabinets? These can be used to create a rustic, elegant feel in your kitchen. Accompany the cabinets with a Bright White paint to compliment the cabinets. Decorate with still-life artwork of fruit or farm animals to finish off your rustically elegant kitchen decor. 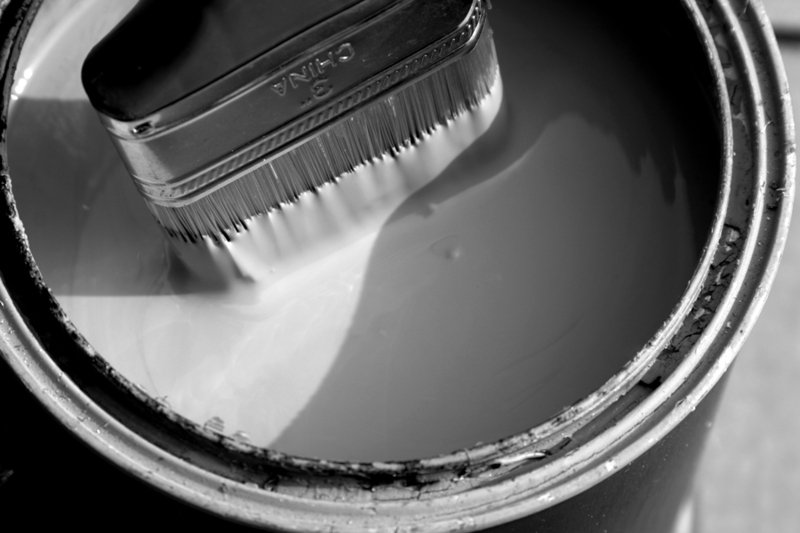 White is a classic color that will never go out of style so why not call Michiana Paint to see how they can transform your outdated or tiny spaces into the rooms you’ll use the most.